Last updated January 22, 2000. This page has been visited times since 1/1/97. Trains of Thought Links to RR web pages, historical society and SIG pages, and selections from my personal photo collection. Updated January 16, 1999. Meliora's Medieval Miscellany This being a section devoted to medieval history and historical re-enactment in the Society for Creative Anachronism. 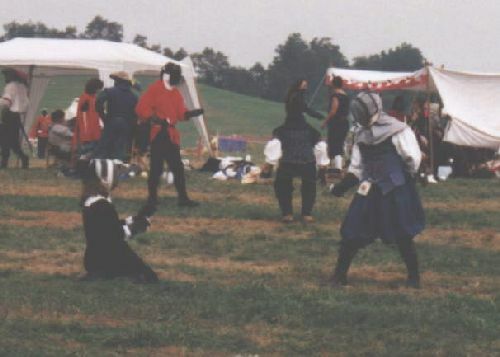 Member of the SCA Web Ring. Updated January 16, 1999. Mondo Music and Media Just what it says, this is a hodge-podge of some of the coolest info and links we know. Small updates October 25, 1998. Taking Root This is our personal genealogy research page, including our personal family trees, genealogy info about Poland, Michigan and soon to contain Sandy's family tree, spanning several Southern U.S. states, and some links to different genealogy sites. All for Adoption This promotes adoption as a positive way to build a family, by providing information and support to adoptive parents - with emphasis on Korean/Asian adoptions. Member of the Adoption Web Ring. Updated January 16, 1999. Copyright 1997, 1998 , 1999 & 2000 C. Danielewicz - Reproduce with Signed Permission Only.